Our Master Bathroom Overhaul Has Begun. This morning I have spent a couple of hours looking at bath fixtures on-line. The planning for the bathroom upgrade is officially underway, with a construction date set for mid April to early May. We love Modular 4. Seriously, living here is pretty amazing, and there are only a few small things that we would change, one of which is the bathrooms. There is nothing wrong with them in many ways. They are small but very functional. Our issues come down to finish. The fixtures while adequate, don’t compare to the rest of the finish on the home, and frankly they need an upgrade. The biggest gripe, the plastic shower surrounds in both baths. Well the vanity stays. They are actually quite nice cabinets from Ikea, that have the same paper stone counters that are used in the kitchen. They look really nice, and they work. The sink, faucet, shelving, medicine cabinet, shower surround, shower fixtures all get replaced. Starting this year with the master bath the plan is to remove the shower surround and replace it with a cast shower basin. 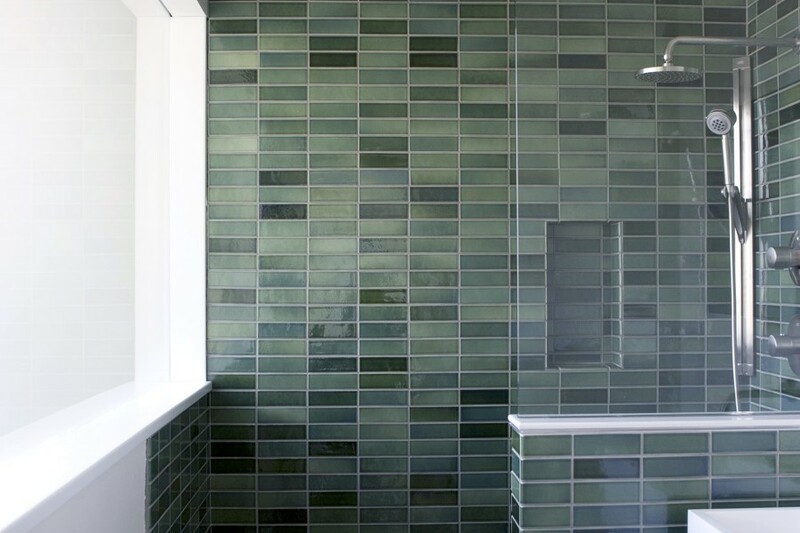 Then a floor to ceiling glass wall will be installed with a sliding door to the shower. 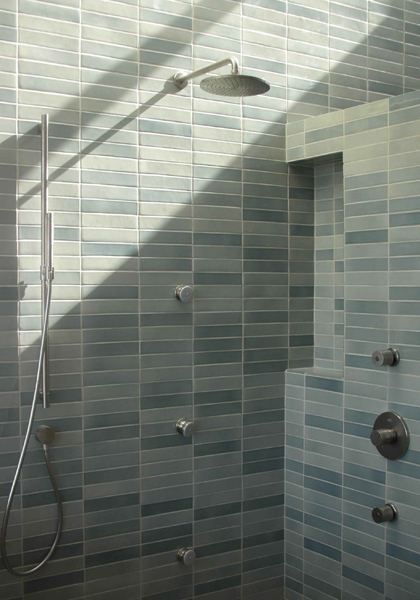 Multi-colored Heath ceramic tile will wrap the inside of the shower and extend across the main bathroom wall behind the vanity and medicine cabinet. The shower fixtures will be upgraded, as well as the faucet and sink. New glass shelving will be installed above the toilet and new towel racks will be installed across from the vanity. 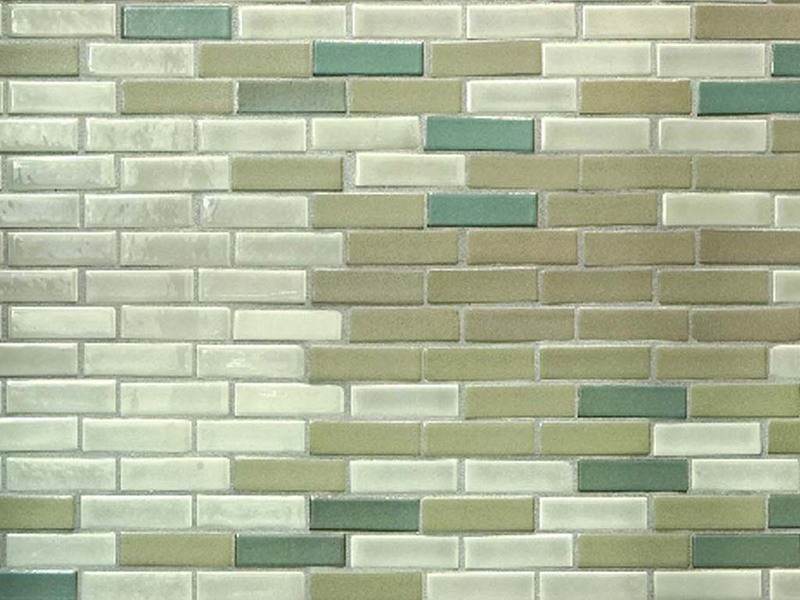 The Heath Ceramic Tile we are looking at purchasing for the bathroom walls. This isn’t a complete gut and rebuild, but instead a make over, since the bathroom is in great shape and just needs an upgrade. Right now we are looking at fixtures from both Cosmic, and from Kohler. Yes Kohler. 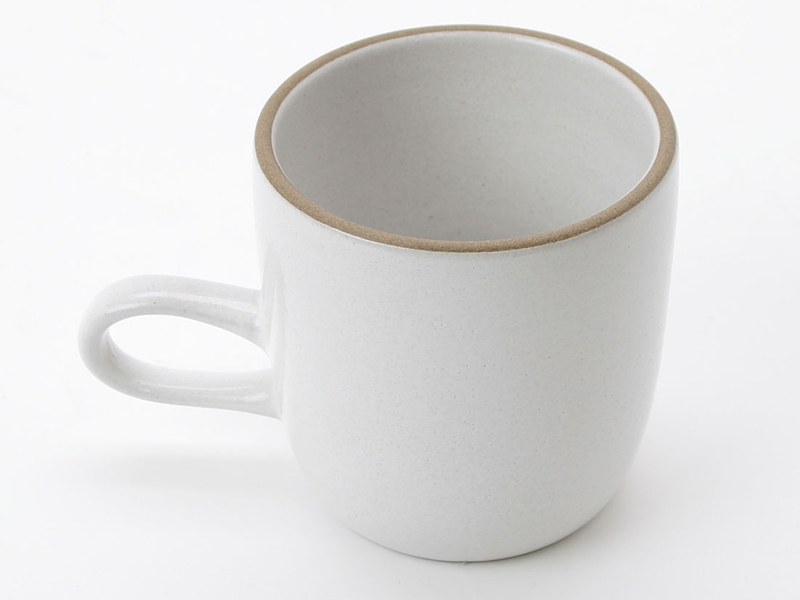 I keep checking out the higher end stuff they make and I am pretty impressed with the design, fit and finish on all of it. Plus I can purchase all of it from a place like faucets direct, and get everything at about three-fourths the cost of buying from a dealer or interior designer. 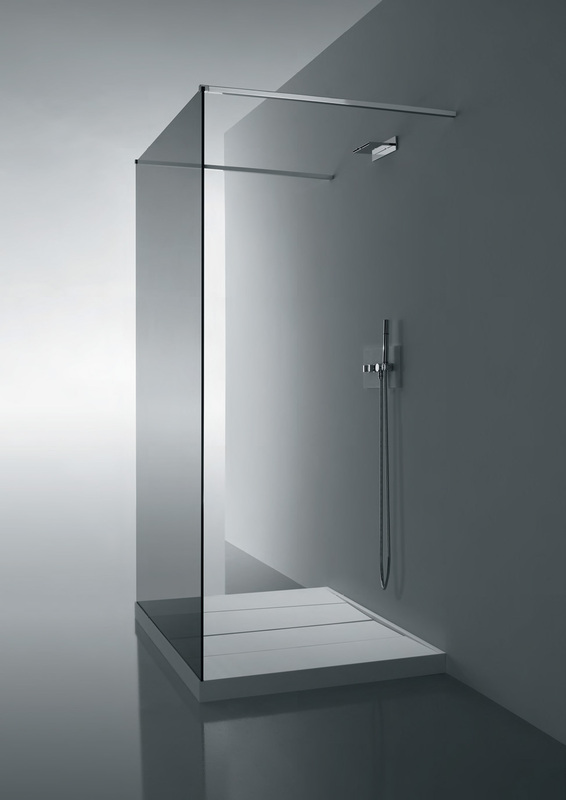 The Cosmic shower base and glass wall divider. Ours will have a sliding door and run wall to wall, and not be free standing. update; as I was writing this Kristy was in the other room buying fixtures and hardware from faucet direct, so it’s official we have started the process. Simple. Good. Designed to last a lifetime. 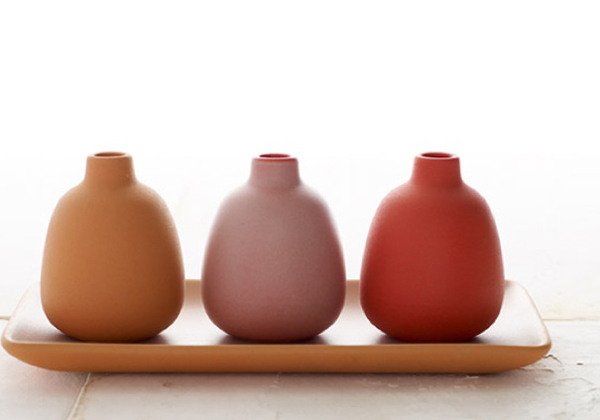 That’s three ways to describe the products of Sausalito-based Heath Ceramics, the pottery founded in 1948 by Edith Heath, but “beautiful” is usually the first word that comes to mind. 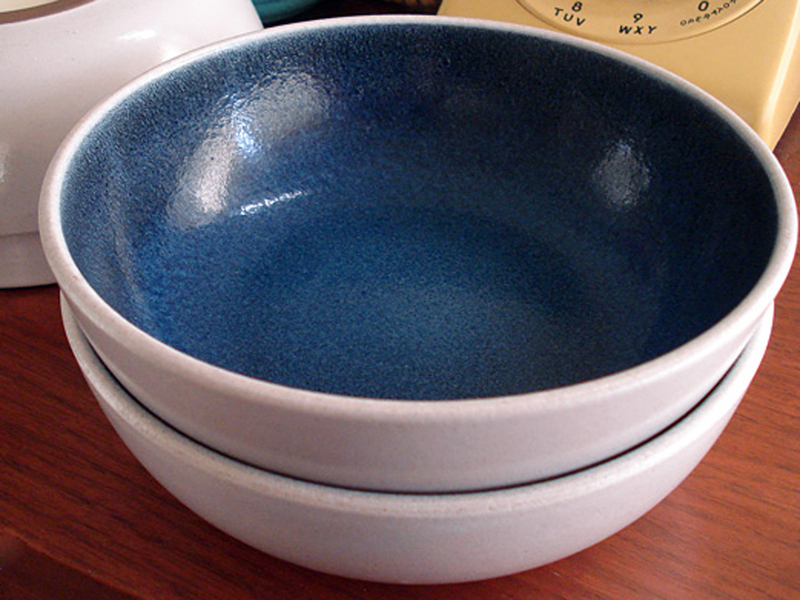 Heath Ceramics is one of the few remaining mid-century American potteries still in existence today. 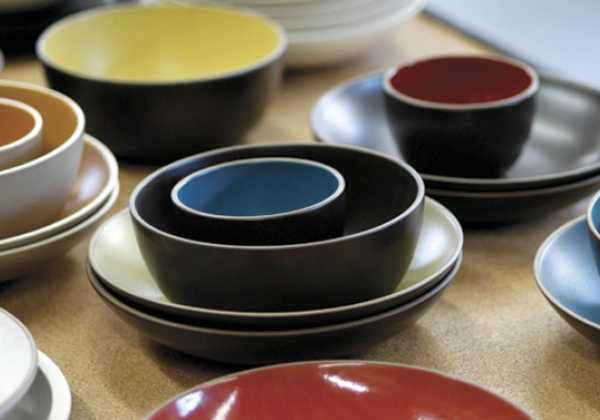 Heath has been making ceramic tableware and tile for over a half-century in their Sausalito, California factory. The crew of 60 skilled artisans, many which have been there for over 20 years make every product on the premises. Heath often utilizes the methods and techniques pioneered and developed by the company founder Edith Heath, from throughout her life. 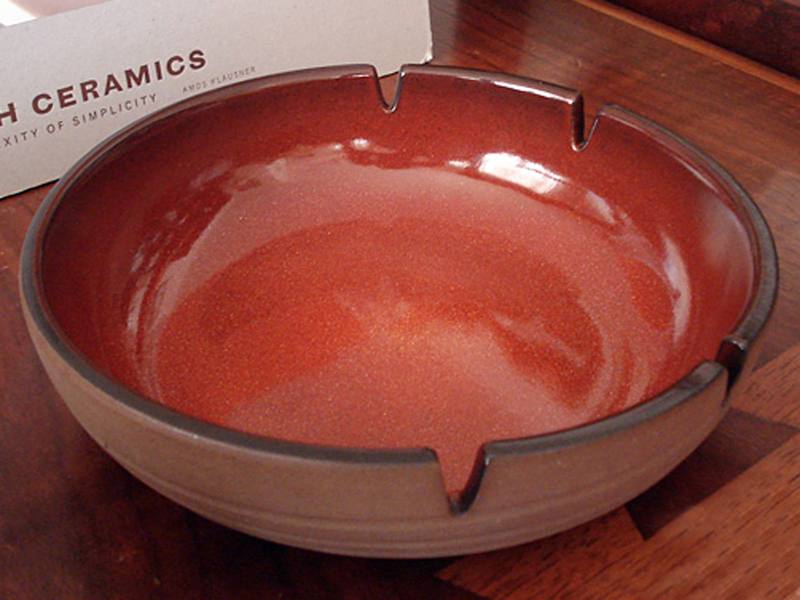 Edith Heath (1911-2005) founded Heath Ceramics in 1948 following her one-woman show at San Francisco’s Palace of the Legion of Honor. 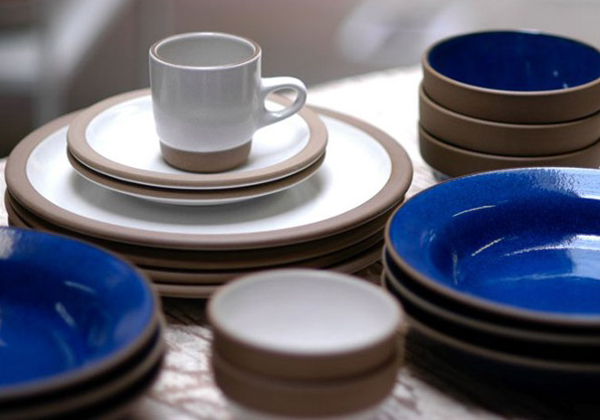 Her pieces were picked up for sale at Gump’s department store in San Francisco and the demand for her beautiful ceramic tableware and vases launched the now iconic company. 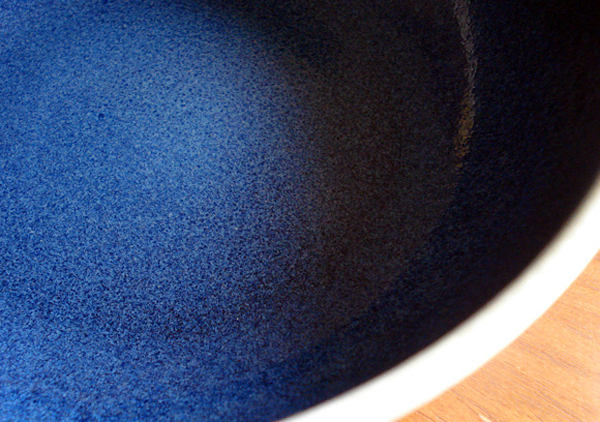 For more than 50 years, Edith’s life was dedicated to the craft of ceramics and the skill of the artisan. 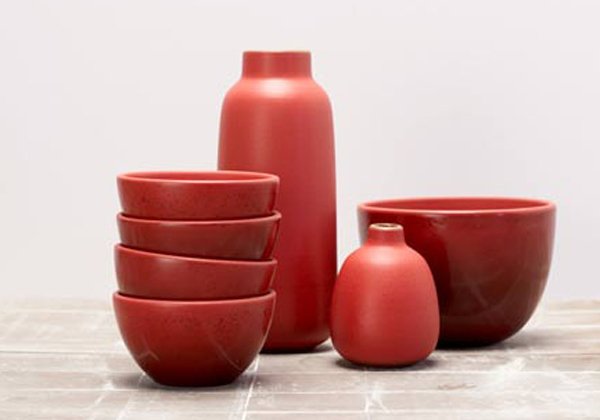 Her passion, along with the legacy of her work in stoneware clay body and glaze development, has given Heath its unique place in contemporary ceramics today. I thought I would talk about Heath today, since I received an email this morning showing the 2009 limited edition 3 Bud Vase Set. 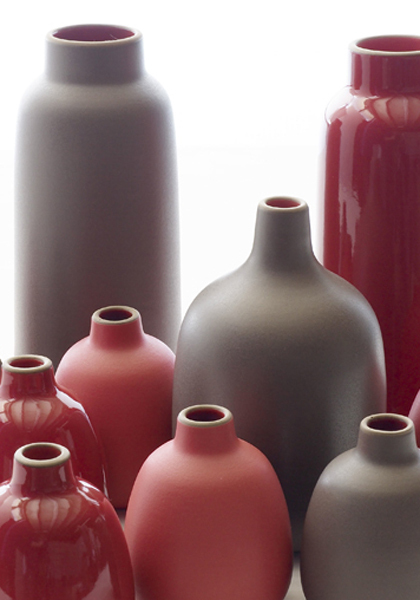 All vases are glazed with a light coat of Ruby Red inside. the pieces are striking grouped together or separately the geometric forms playing together to create unique plays of positive and negative space. The new vase collection was inspired by the original Heath budvase designed by Edith in the mid 1950s with refined, contemporary lines.. 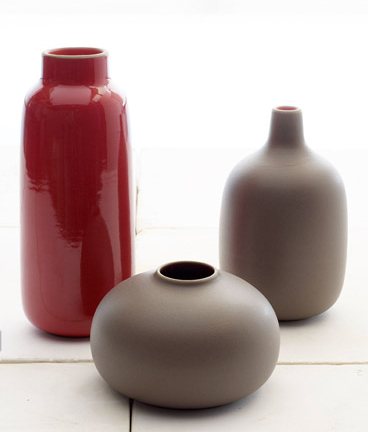 The latest product from Heath is clay vase collection, in Suede Red/ Ruby Red and Ruby Red/ Cocoa glazes, and as always, the quality of the design work is outstanding. Heath as always manages to achieve a look that can not easily be duplicated by others. From the sophisticated color pallet, to the timeless shapes and patterns that are used in every product line to Homeware products and tile Heath Ceramics hits a home run every time. Heath has always taken a holistic approach to their design process and it shows with distinctive and expressive forms that are evident in every line. 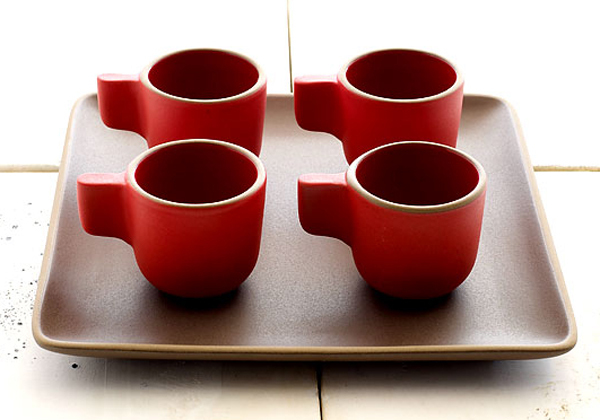 Simple geometry, solid forms, rich deep glazes and textures, weight and quality in production. Whether you are looking at a vintage piece from the mid 50’s or a piece from the current collection, the effect is the same. Timeless, good design. For the last 6 years Heath has been owned by Robin Petravic and Catherine Bailey who purchased the company with a mission to revitalize the brand by placing a strong emphasis on design, handcrafted techniques, and by reinvigorating the company’s designer-maker history. In 2009 Heath was a finalist for Corporate Achievement in the Smithsonian’s Cooper Hewitt National Design Awards, and Heath is represented in the permanent collections of museums, such as the MOMA and LACMA. 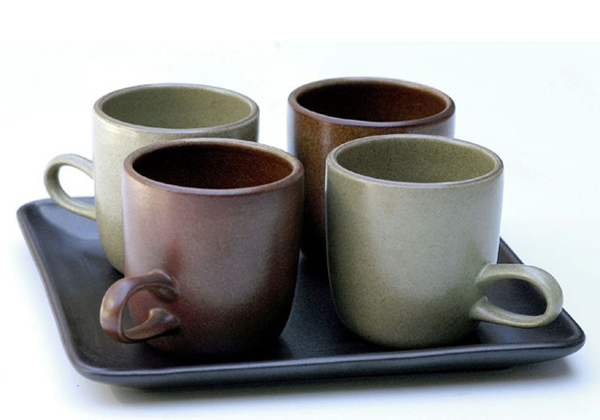 Posted in Design and Art and tagged Catherine Bailey, Design, Dinnerware, Edith Heath, Heath, Heath Ceramics, Homeware, LACMA, Mid Century, Modern, MOMA, Robin Petravic, Tabletop on December 18, 2009 by Author.